A "family crest" is often referred to as a "coat of arms". Long before surnames were the standard for identifying a family, a crest was used. 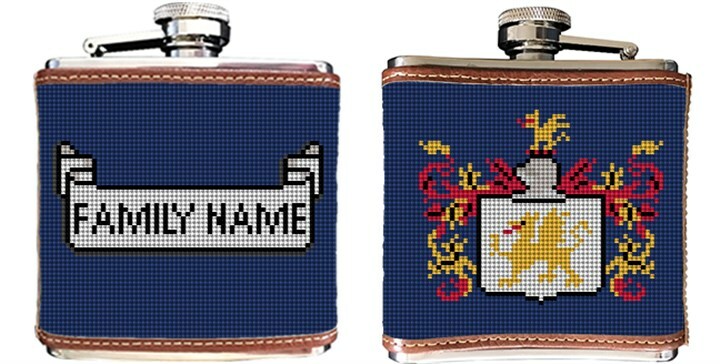 Order your own Custom Family Crest Needlepoint Flask for that one of a kind gift idea. We will modify this design so the sheild is using your family's own crest, and the colors in the banners will be adjusted to coordiante as well. Also, the animal on the top of the knights helment will be changed to coordiante with the crest.